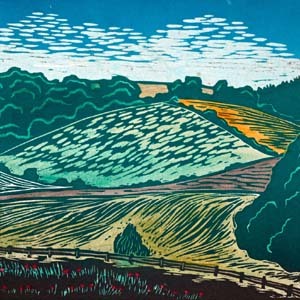 Helen Brown writes: "I work directly from the landscape in either lino or woodcut. Working outdoors enables me to capture the line and fluidity of scenes and localities. Our thoughts and feelings colour the things we encounter, and they in turn colour us. In my prints I give visual expression to this conversation." 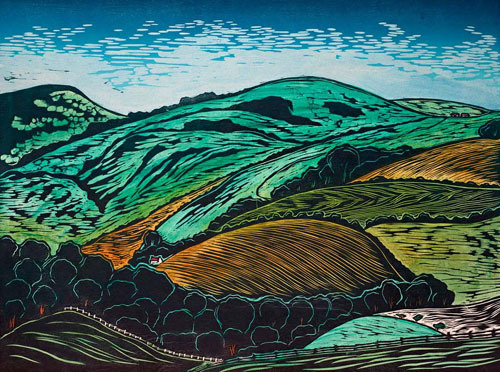 The woodcut prints are individually made by the artist in tranches of a few prints - the edition is not all printed at once. There may be some slight colour variation between each print - an artist-made woodcut is essentially an original work of art. If the print you have ordered is temporally out of stock, Helen Brown will make it to order, which may take up to two weeks.